Patrick J. McClary is a Partner of Tax Services at Whalen & Company, CPAs. He has more than 20 years of experience in the accounting industry and has spent nearly 15 of those years with the Whalen & Company. Patrick provides tax and consulting services to business and individual clients. He also advises clients in a variety of areas, including entity selection, business acquisition and sales, like-kind exchanges and cost segregation opportunities. He has extensive experience with pass-through (partnerships, LLCs, S-Corporations) and individual taxation, combining his thorough knowledge of both when assisting clients in planning and consultation. In addition, Patrick represents clients before the IRS and is experienced in resolving issues with state and municipal taxing authorities. He has also provided expert witness testimony and litigation support services. Patrick has a bachelor’s degree in business administration with a specialization in accounting from The Ohio State University. 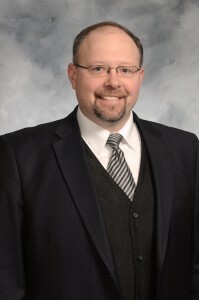 He is a Certified Public Accountant and is a member of the American Institute of Certified Public Accountants, Ohio Society of Certified Public Accountants and the American Society of Tax Problem Solvers.